Beautiful apartment in Playa d'en Bossa, overlooking the sea and only 100 meters from Ushuaia, Space and Bora Bora Beach Club. 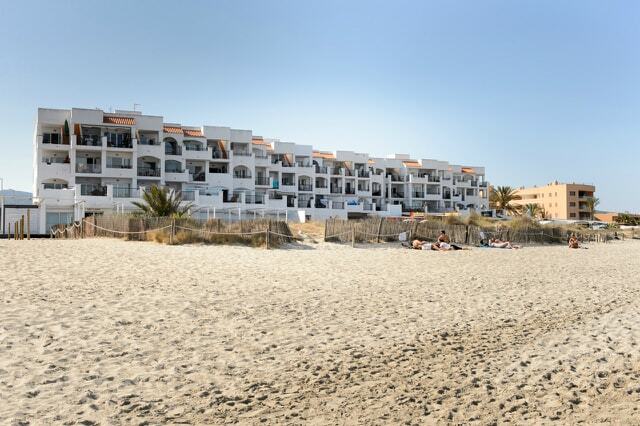 The apartment has a terrace overlooking the sea, it is very bright and equipped with air conditioning. The accommodation comprises two double bedrooms, one double and one with two single beds, two comfortable bathrooms with bath and shower, a spacious living room with kitchenette, satellite TV and a comfortable double sofa bed. Maximum capacity: 6 people. The facility, with a residential swimming pool, with direct access to the beach. The center of Ibiza (harbor) is just 3 km away.